Cusco (also spelled Cuzco), is most known today as the stopover town on the way to Machu Picchu. 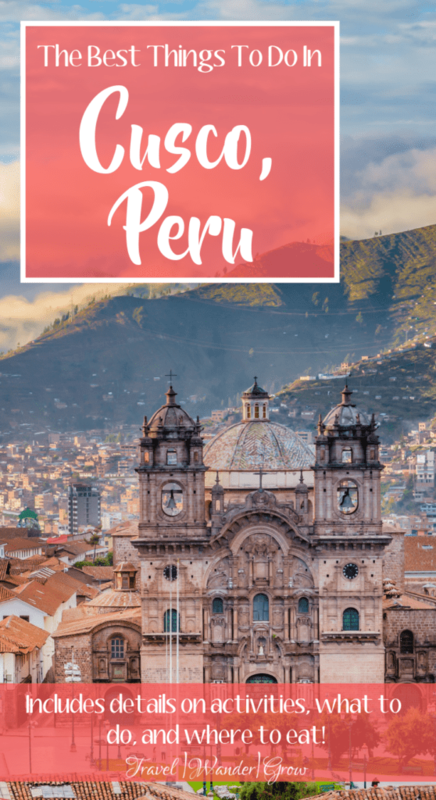 This cute, 3-mile high Andean city definitely brings it’s own charm though, and is worth a few days visit if you can fit it in on your trek to Peru’s most famous landmark. What surprised me most about Cusco is that you can find so many Incan ruins right in and around the city. 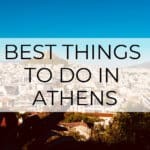 Additionally, there are lots of cool things to check out in this city. 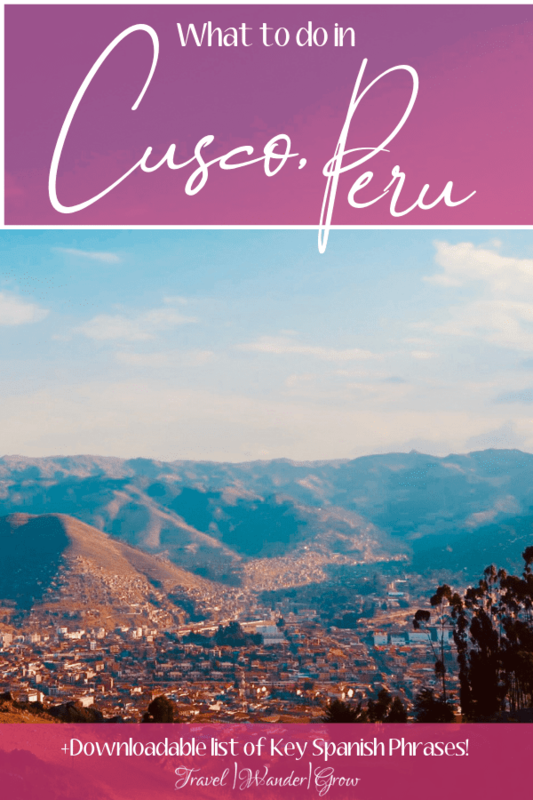 I’ll walk you through what to do in Cusco over a 2-day itinerary in this post, including where to eat, where to stay and what to know before you go. The city was likely originally settled by the Kilke people around 900 A.D., and they continued to inhabit the city through 1200. Next up were the Incas, who transformed the city into the capital of their Incan Empire. It remained as such from the 1200s through 1532. At it’s height, this empire stretched through the west of South America – from as far north as Colombia and as far south as central Chile. This civilization is thought to be the most advanced in all the Americas, by modern standards anyway, and flourished until the arrival of the Spanish. The arrival of the Spanish brought a time of great hardship for the local population of the city. Francisco Pizarro was the leader of the crew that first arrived in Cusco. He brought with him a crew of prisoners who systematically killed the natives (mostly targeting the men), and destroying all that they could of Incan culture. Thankfully, all of their efforts were not successful, and traces of the Incan culture can still be found throughout the Andes Mountains. One of the most prominent ways this is displayed is through the language, Quechua, that is still spoken by many locals today. The Spanish used Cusco as the center for colonization of the Andean world, and for the spread of Christianity. As such, it is still home to many beautiful churches and cathedrals, which were often build on top of existing Incan structures. Cusco found independence from Spain in 1821, and today is an important cultural and tourism center for Peru. Getting There: Cusco is serviced by the Alejandro Valesco Astete International Airport. It is a pretty tiny airport with one terminal, offering mostly domestic flights within Peru. There are limited international flights to other South American countries, such as Chile and Colombia. Taxis from the airport to the main city are pretty cheap – less than $10. 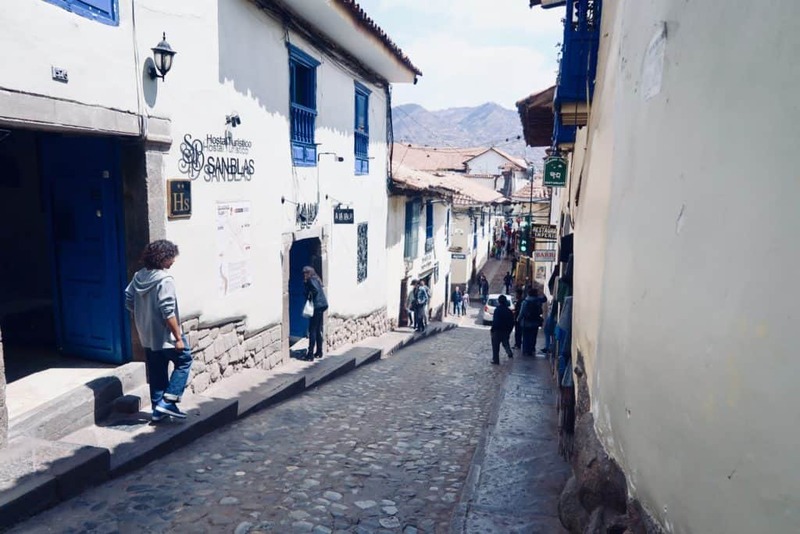 Getting Around: Cusco is a very walkable city, especially in the main downtown area. If you get winded from the altitude easily, it is easy to find a taxi and Uber is available as well. 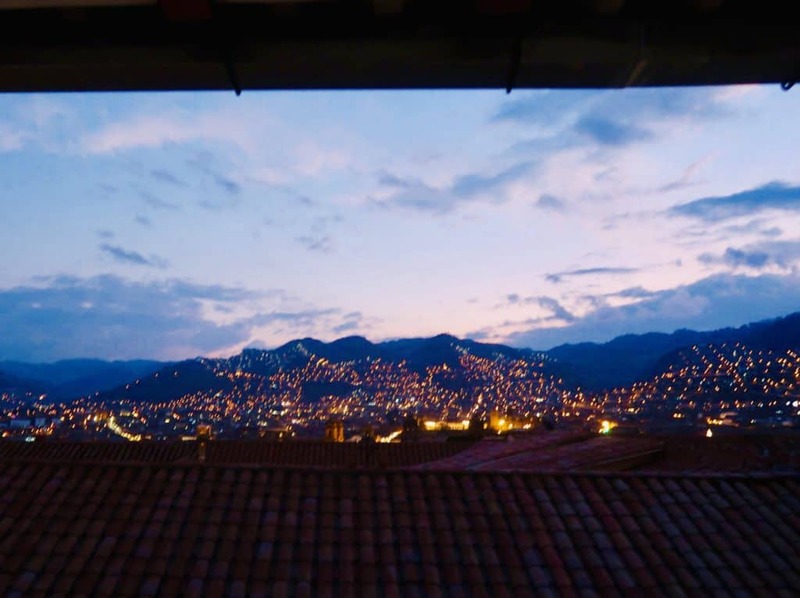 Where to Stay: When you are visiting Cusco, there are three primary areas you should consider for your stay. San Blas – This area is most popular with tourists / expats due to its artsy and bohemian vibe. 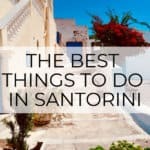 You can find good options for nightlife, vegetarian food, and even yoga studios here – it that’s your thing. We stayed in this neighborhood at the Illa Hotel. I highly recommend this hotel as it is incredibly cute, has a nice restaurant, and genuinely friendly staff. One of the staff members spent 40 minutes with us just to tell us things to do in the city! You really can’t beat service like that. View of the city from our hotel. Lucrepata – This neighborhood is located next to San Blas, but is more residential / quieter. If you like being close to amenities, but don’t like noise, this is your spot! It is still in walking distance to everything that you need. San Cristobal – An area of the city that is high up on the hills of the city. It is a bit further away from restaurants and other attractions, but offers wonderful views of the city below. Like San Blas and Lucrepata, it is still only about a 10-minute walk from the city center. Plaza de Armas – The center of the city, where you’ll find most of the top tourist attractions, such as churches and Incan ruins. The perfect place to stay if you want to be in the center of everything. When to Go: The interesting thing about Cusco is that the weather is pretty much the same temperature every day. There are warm days (around 70˚) and cool evenings (around 40˚). If you prefer to travel without the rain (as many of us do), the rainy season is from November – March. Money Situation: As I mentioned in this post on Lima, the currency in Peru is the Peruvian Sol. Unlike Lima, we did not see many folks exchanging money on the streets, but did find a few ATMs. At the time of writing this post, the exchange rate is $1.00 = 3.37 soles. Check here for the latest exchange rates. Language Considerations: Spanish and Quechua are both spoken in Cusco. English is limited outside of hotels and some restaurants, so it’s a good time to start practicing Spanish if you plan to visit soon! 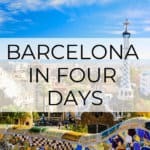 Check out my post on Spanish for Travel to get all the phrases you need to survive. (I can’t help too much with the Quechua part though – ha! Health: As with most countries in Latin America, I recommend that you avoid drinking tap water or eating raw fruit / veggies you have not washed yourself to avoid stomach issues. Also, Altitude sickness is a very real thing, and something that I had a difficult time adjusting to when I first got to the city. I will cover more tips and practices for beating this in a coming post. 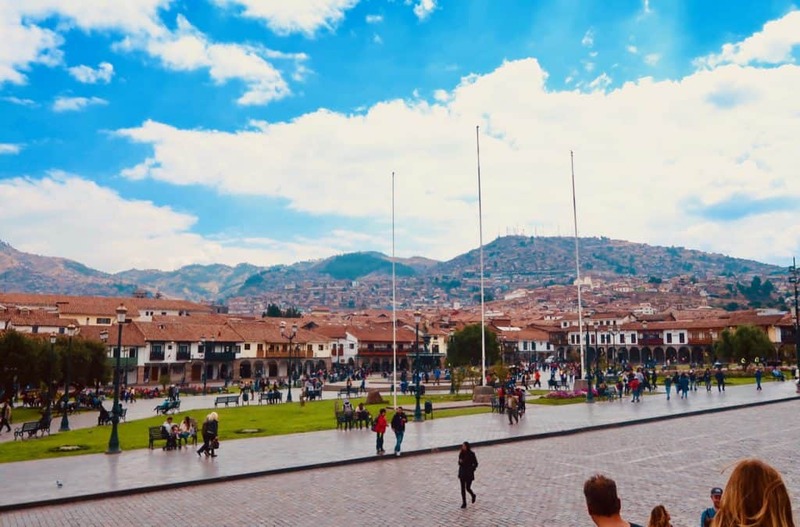 This is the main city square that was known as the “Square of the Warrior” in Incan times, and that name was adopted by the Spanish. 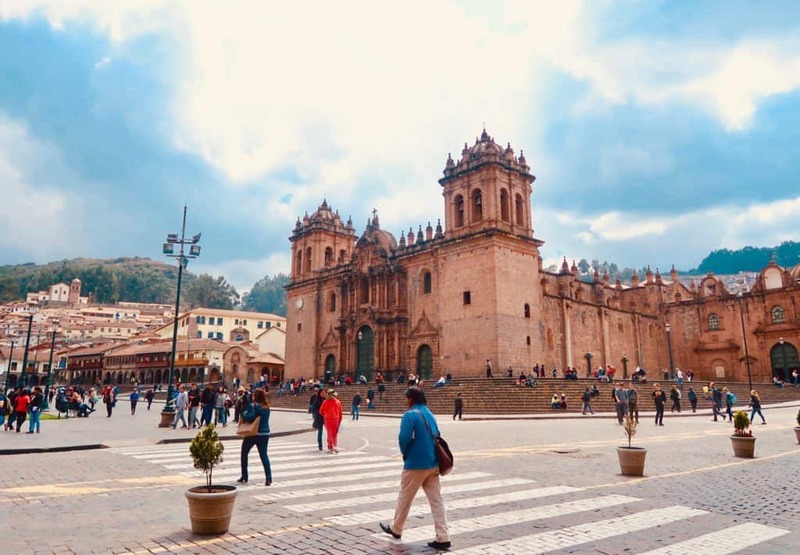 You’ll find many colonial buildings built atop Incan foundations here, as well as two well-known religious buildings: the Cusco Cathedral and the Church La Compañía de Jesús. This square has many events each year, such as Corpus Christi, and Inti Raymi (Incan Festival of the Sun). 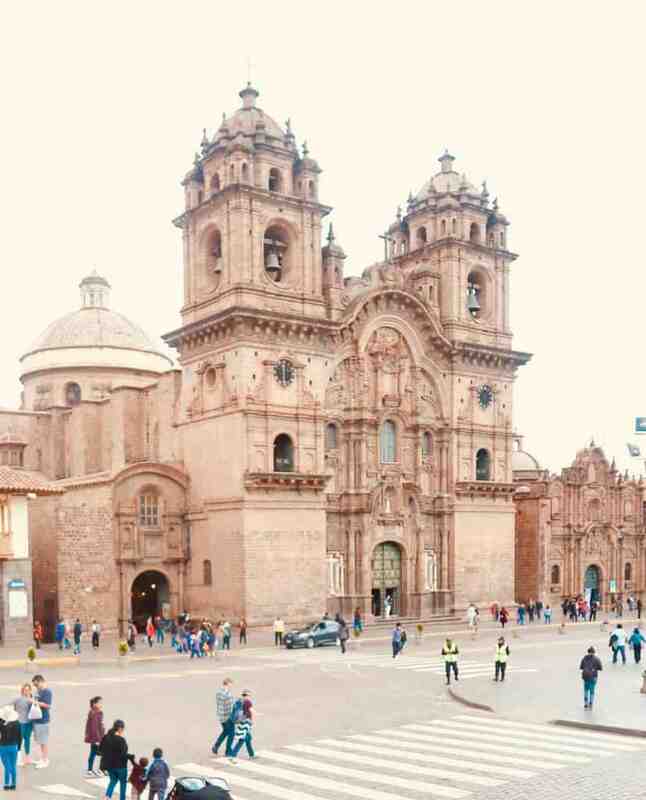 This is the main cathedral of Cusco, and the mother Catholic church of the city. It was built atop the Incan temple Kiswarkancha, in a symbolic move to replace the religion of the region with Christianity. It took about 100 years to complete construction of the cathedral, and it was built in the Gothic style. The interior of the church includes massive artworks, many painted by art students who studied with European artists brought to Cusco just to teach. Like the Cathedral, this Jesuit church was built on Incan ruins. In this case it was the palace of Incan ruler Huayna Cápac. It is one of the best examples of Spanish Baroque architecture in the city. There are two chapels connected to the church, as well as a public university. This Catholic convent was build directly over the Sacred Sun Temple of the Incas – Qorikancha. What I found most interesting about this site is that the Spanish actually left behind a substantial amount of the original structure, when compared to the other religious sites in the city. You can still view and walk through the rooms originally used by the Incas for worship! Before the Spanish came this was a site of great wealth, as the walls were covered with gold! But once the Spanish arrived, they captured the ruler of the Incas and put a ransom so high that the residents had to remove the gold to pay it. AND…after turning over the gold, the Spanish killed the ruler anyway. Just sad :(. The gardens that lay behind the cathedral are full of many varieties of flowers and delightfully maintained. There are great views of the city from above the gardens in the convent as well. 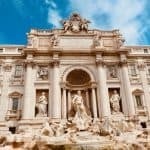 It should take you about four or so hours to see these sites, depending on how long you like to spend at each. After you get done with sightseeing, head over to San Pedro Market do get some shopping done. You can buy food products like maca and chica morada powder, bags, scarfs, fabric, and more! Be sure to barter to get the best deal. A fortress build of massive stones that provides excellent view of Cusco, this is a must-see attraction on your visit. It was designed as a military fortress, and was also used for ceremonial activities. Before it was disassembled by the Spanish, it could hold thousands of people and also served as the storage facility for various types of materials. This site was where the Incas performed surgeries and mummification rituals, often in the moonlight. 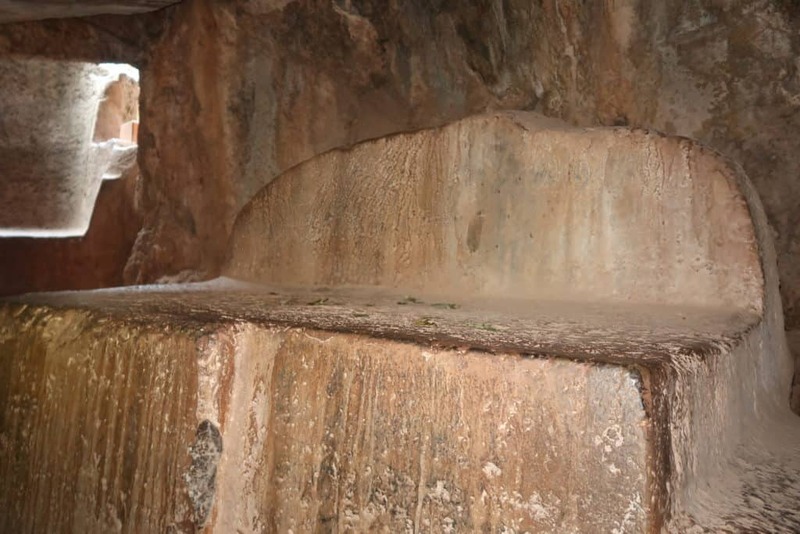 This rock structure was specifically designed to be utilized with the light of the moon. As a medical facility it included a “waiting room” of sorts too! An ancient inn that may have been used to house pilgrims on their way to Cusco, what remains here is quite impressive. It had running water, provided by canals and acqueducts – and some fountains on the site still work today. On your walk up to the top, you’ll find roaming alpacas and locals spinning thread from their wool. 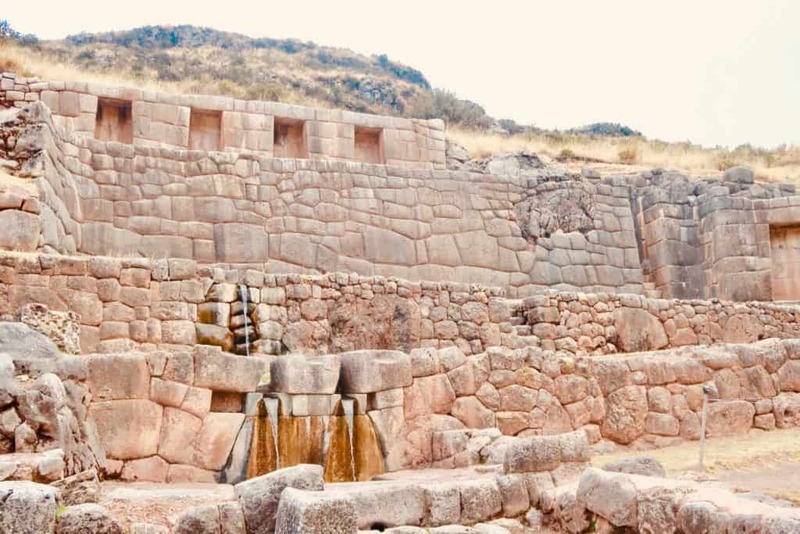 Puka Pakara was a military administrative center for Cusco and more generally for the Incan Empire. 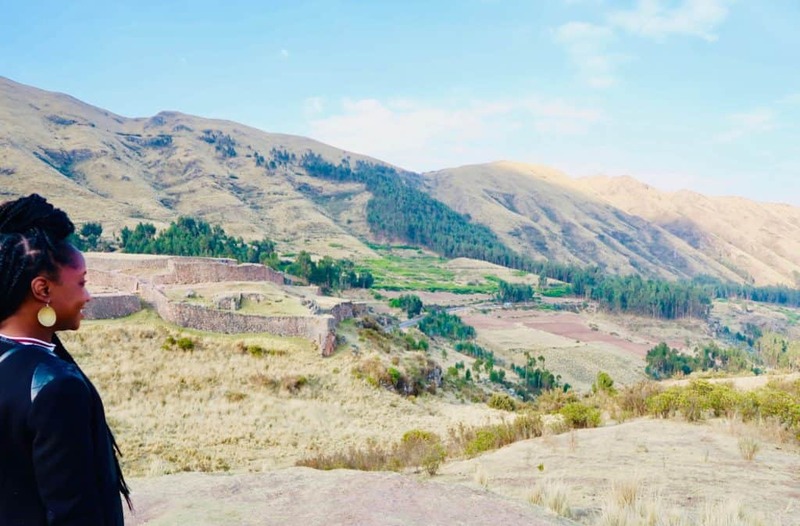 If you don’t have time to explore the ruins up close, there is the opportunity to just take a quick stop and experience the breathtaking views of the Andean mountains. To close out your second day, visit one of the many massage places that surround the main square to relax your muscles after a hard day of exploring the sites :). 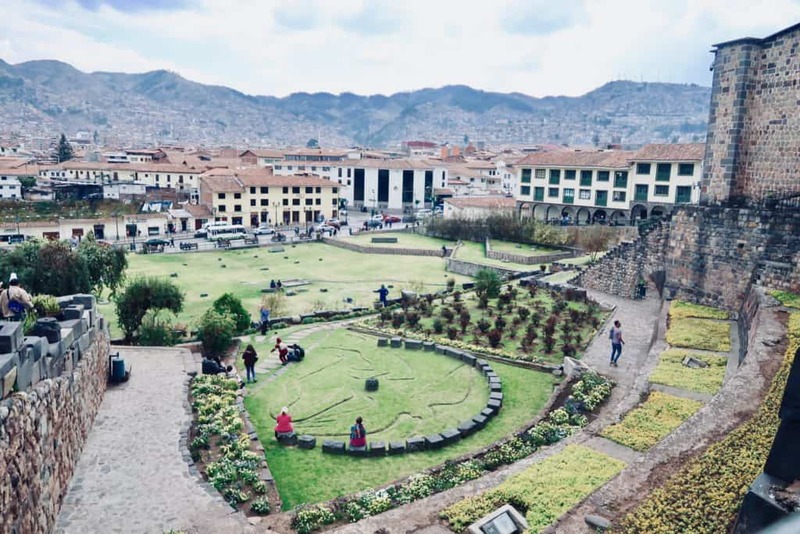 If you only have one day in Cusco, consider doing a tour that includes both the city and the surrounding areas like this Cusco: Half Day City Tour. I did this on my trip, and had a really nice time. Our tour guide was energetic and had deep knowledge of the city’s history. This restaurant specializes in stews and soups, and they full of robust flavors and interesting ingredients. You’ll find vegetarian options here as well. Cathedral is located in the San Blas neighborhood, this spot offers many local favorites. If you sit in the top floor, you meal will be accompanied by excellent views too! Try the trout if you go – it’s quite tasty, very fresh, and comes with a delicious sauce. If you want something a bit more upscale, head over to Limo for Japanese – Peruvian fusion. They have great sushi and tempura veggies that had one of the most complex, yet delicious flavor profiles I’ve tried to-date. 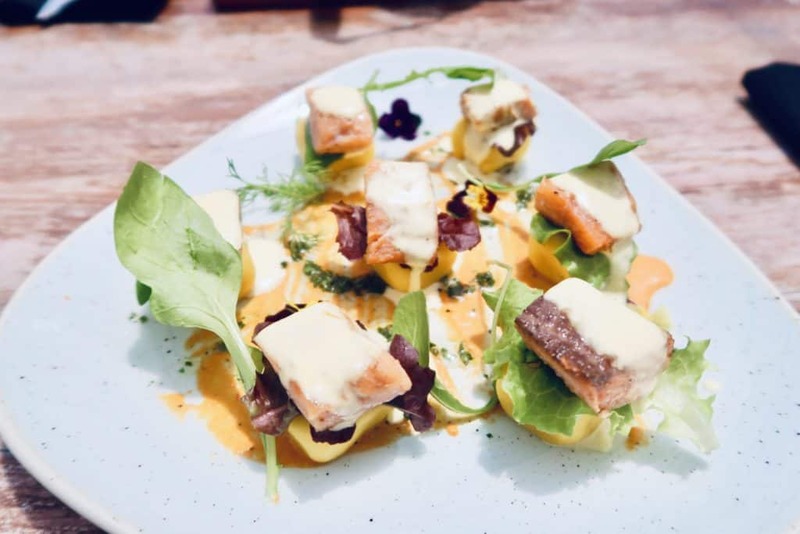 This restaurant is situated right in the Plaza de las Armas, and has a nice view of the square. 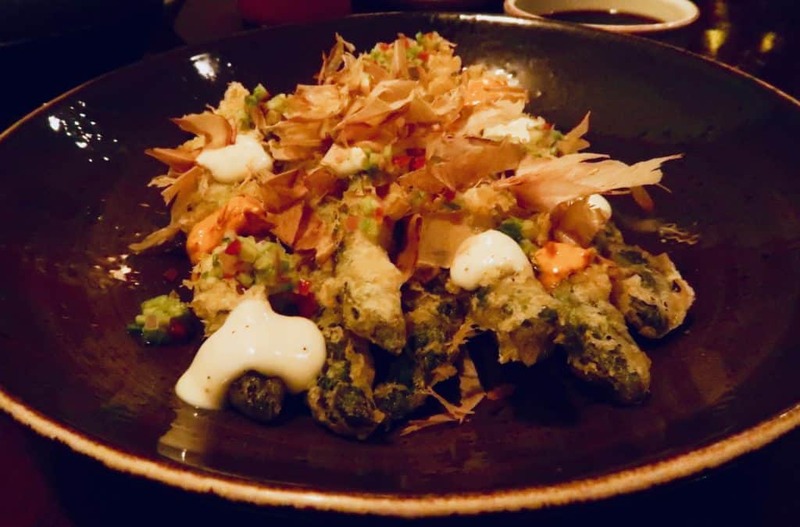 Tempura Asparagus – Probably the best thing I ate in Cusco! Note, I did not include the areas outside of the city, but you can zoom out to view the Sacsayhuaman area. So now that you know what to do in Cusco, I’m sure you’re thinking about getting to Machu Picchu next. Am I right? Just for reference, Cusco is about a two-hour journey to the train station in Ollantaytambo, then another 1.5 hours journey by train. If you are trekking, it’s usually about a 4-day trek depending on which option you select. For more details, check out my Machu Picchu Mountain post. If you’ve visited Cusco before, what do you recommend? Tell me in the comments below! Very informative post. I do have one question though. Obviously, when travelling one must also consider the expenses for the trip. With this 2 day itinerary, can you give an estimate or a range of how much this 2 day itinerary would cost? Thanks again for a very informative and insightful blog. I had fun reading it. Great question Mark! 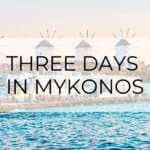 This itinerary is around ~$150 for the food / activity for the two days. And for our hotel, it was around $100/night. Hope these details help you plan :). referring to my traveler taste. It’s my pleasure, Marian! I hope that you consider Cusco too! I actually recommend that you spend your first few days in the area in Cusco before Machu Picchu so you get acclimated to the altitude first. 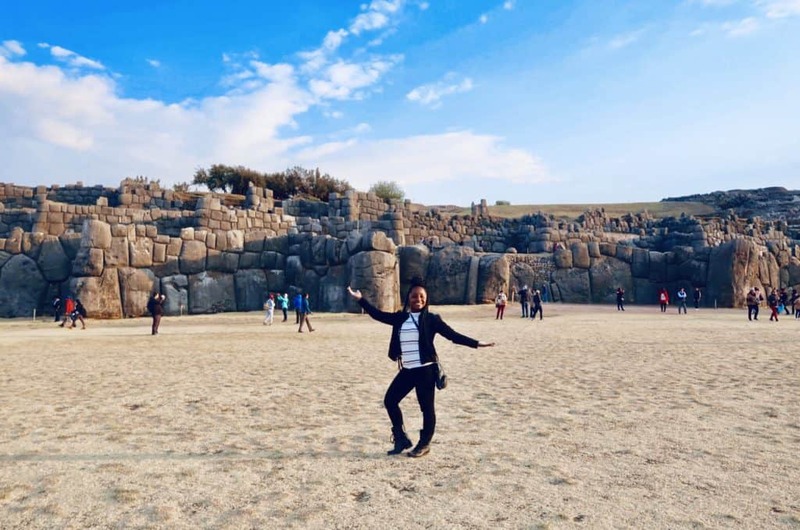 Hello Christen, fascinating post here about the area around Machu Picchu! I never thought that there were so many other interesting areas around it. I’ll look into this in the future. Thanks. Glad I was able to inspire you a bit Evan 🙂 If you decide to visit, please let me know if you have questions!